First of all, I’d like to wish all of my readers a Merry Christmas and Happy holidays! For those of you who are doing some last-minute shopping or haven’t wrapped up your gifts already, I’ve got a quick and easy tip. Use some old fabric scraps to wrap them! If the cloth piece is large enough, use it as wrapping paper or just use it as ribbon. 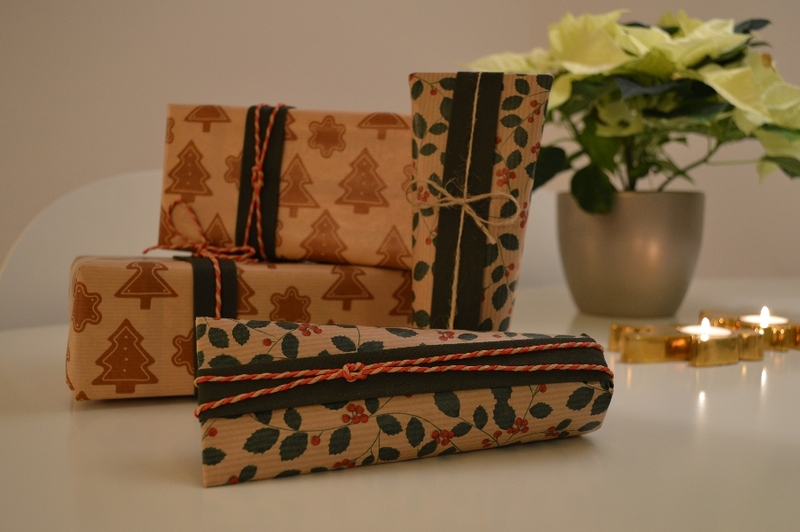 I really like how the string on the front gift resembles and obijime and the green fabric scrap an obi sash on top of the Christmasy “kimono” (a.k.a. regular wrapping paper). Categories: Misc, Random rants | Tags: Christmas, gift wrapping, sewing | Permalink.